If anyone wants to do a YouTube search for her ---- copy and paste this Мария Мирова unless you have a Cyrillic keyboard. This is Maria's actual youtube channel although right now it only has the one video. More to follow, hopefully!! As Charlie said there are a lot more vids on other channels. 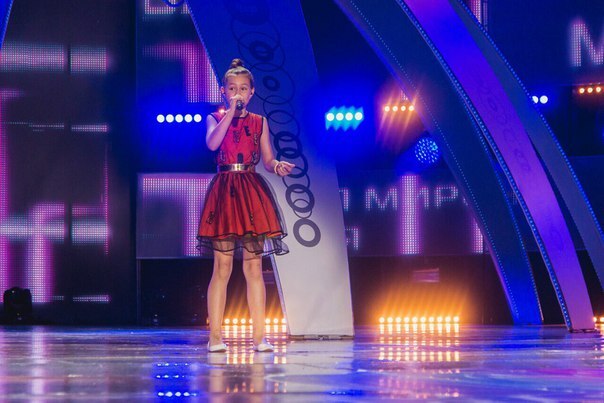 Sweet People The Kids Voice Russia 2015. Besides conducting heaps of interviews with contestants on The Voice Kids, Maria has now reached the final of the Children's New Wave 2016 contest. We wish her all the best in the final. This is her semi final performance. Here is a little gem from Russia. 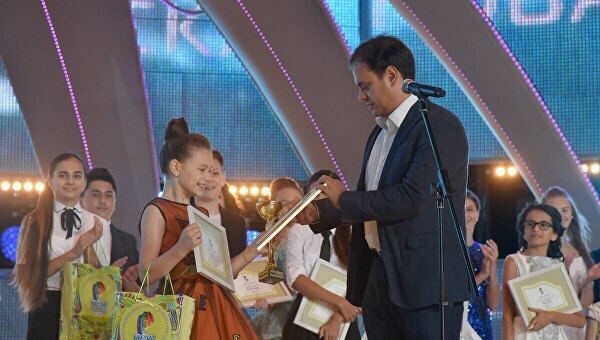 Maria took 2nd place in JESC 2015. 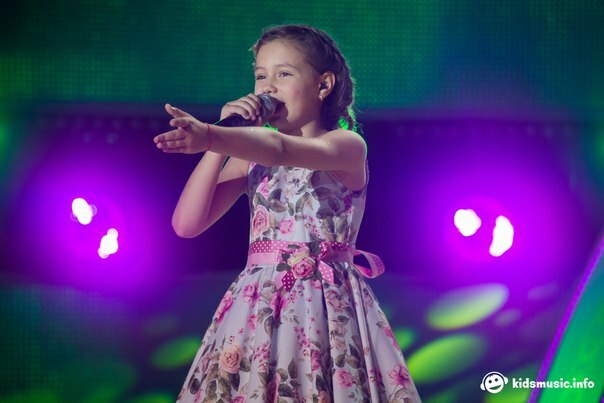 A little correction here: Maria was 2nd "only" in the Russian National Final for JESC and sadly wasn't selected to JESC. Hopefully she will go to JESC this year though! "Culture" TV channel. Fragment of a television broadcast of the gala concert of the festival "Svetlana" children's dance, which was held March 29, 2016 in the concert hall "Russia" under the patronage of the prima ballerina of the Bolshoi Theater, People's Artist of Russia Svetlana Zakharova. Performed by Michael Smirnov and Maria Mirova. Here is another new one! Sasha, Lesha and Mary congratulated their mothers on March 8, and the three of us sang the famous song from the film "Guest from the Future." CSC "Gazodobytchik", Novy Urengoy, 07.03.2016g. Maria performing at the Victory day concert on May 9. 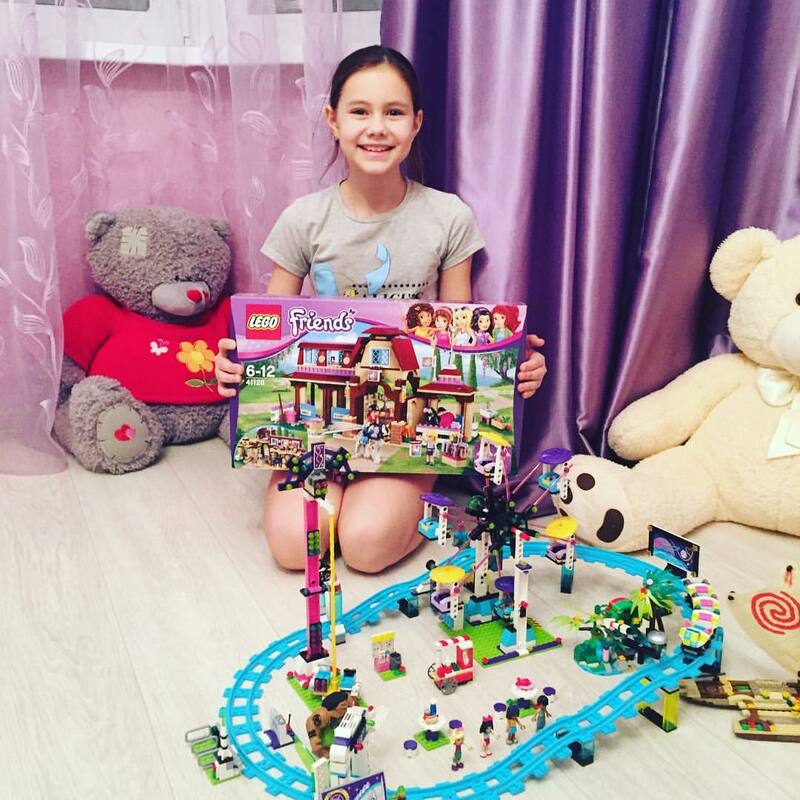 10-years old Mariya Mirova from Meleuz (Bashkortostan) is a student at MBEI Gimnasium 1. She is the First degree laureate for the III All-Russia festival-contest of children's and youth creativity (nomination ‘Stage vocal’ – ‘Golden Peregrine’, Khumertau, April, 2013), the Second degree laureate for the IV International festival of children's and youth creativity ‘Lighting Stars’ ( nomination ‘Stage vocal’, Izevsk, June, 2013), lots of other musical competitions and festivals in Ufa, Kazan, Belek, Moscow, Vitebsk and many others. 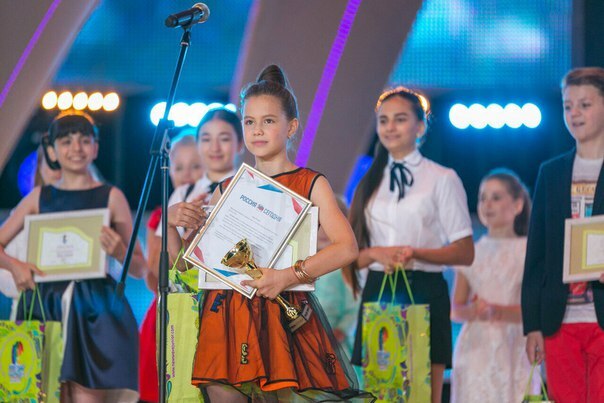 She is also a finalist (backup - second place) for the Russian national selection for competition ‘Children's Eurovision – 2015’ (Moscow, September, 2015). She sings since she was five, loves France, music of Beethoven, puzzles, casual style in clothing, all shades of blue, pink, and what's more – beautiful dresses! She’s crazy about lifestories, jazz, stage pop music, New Year and her own birthday. She would drive a Time Machine to the XIX century, ‘To look how people lived and their style of dressing. Their clothes were so beautiful !.’ She is inspired by music and takes a hand in writing music herself: the beginning of a new song is already written! She could name her debut album “The Wind of Changes”. Mashulya Mirow took 3rd place at the New Wave, but in fact, received more and 2 specials. Prize, which will give her a chance to shine in a new interview with the newspaper, and moreover it personally invited to the "Radio Sputnik in the Crimea", where she will give another Maximized interview and talk with the audience!) Well done Maria! New video, and a good one! Maria is just a Lego type girl. Good seeing girls being creative and also a horse person.